Trump clearly had no idea who Douglass was. For any president not possessed of the towering self-regard of Donald Trump, this would have been a moment of acute embarrassment—a gaff that would have had White House representatives rushing to clarify the president’s remarks and reassure the public (and especially the African American audience) that of course the president knows who Frederick Douglass was. Instead, White House spokesperson Sean Spicer’s response to a reporter’s request for clarification about what Trump meant by Douglass being “recognized more and more” demonstrated that he, too, had no idea that Douglass is no longer alive, having died 122 years ago. Of course, history doesn’t actually repeat itself, nor does an ignorance of history really condemn anyone to repeat the mistakes of the past. But there are lessons that we can draw from past mistakes. In the realm of foreign policy, one of the most important is surely that intervening militarily in other countries in the name of stability has rarely produced the intended result, or, when it has, it has been at tremendous cost to the recipients of American ‘help.’ The most recent example, of course, is the disastrous invasion of Iraq under George W. Bush, which infamously failed to remake Iraq as a bastion of democracy and free-market capitalism in the Middle East and instead destabilized the entire region, resulted in the deaths of hundreds of thousands of people, and helped spawn ISIS. Trump, of course, likes to act like he practically predicted this outcome in opposing the Iraq invasion (he claims) from the start. The history of American foreign policy in the twentieth century is replete with other examples of America’s stunning hubris in intervening militarily in the name of stability and peace. Nowhere was that tendency more pronounced than in the Western Hemisphere, a region over which the United States has been asserting its pre-eminence for nearly two centuries. The so-called Monroe Doctrine of 1823, one of the most important foundations of American foreign relations, warned Europe’s great powers that their days of colonizing in what the US now considered its backyard were over. It also implied a commitment to the extension of the ideology and institutions of the United States throughout the region, though for many years the US would primarily seek to accomplish this through economic and political influence and, above all, the force of its example rather than the force of arms. Sporadic and generally increasing interventionism in the Western Hemisphere through gunboat diplomacy and other military actions during the mid- to late-nineteenth century crystalized in the issuance of the so-called Roosevelt Corollary to the Monroe Doctrine in 1904. Issued during the heyday of Western imperialism, this supposedly logical extension of Monroe’s doctrine, pronounced by bellicose Republican President Theodore Roosevelt, explicitly justified military intervention throughout the region. “Any country whose people conduct themselves well can count on our hearty friendliness,” elaborated Roosevelt’s chief diplomat Elihu Root. But “brutal wrongdoing, or an impotence which results in a general loosening of the ties of civilized society, may finally require intervention by some civilized society, and in the Western Hemisphere the United States cannot ignore this duty.” In effect, the Roosevelt Corollary asserted that the US had a right to to exercise “an international police power,” a power it used quite freely and openly in the Caribbean until Franklin Roosevelt repudiated the corollary in the 1930s. A disturbing episode last week may be signalling Trump’s desire to revive the Roosevelt Corollary. During a telephone call on Tuesday, Trump reportedly told Mexican President Enrique Peña Nieto that if the Mexican military was too “scared” to deal with the “bad hombres” plaguing Mexico in its ongoing drug wars, he might have to send American troops into Mexico to restore order. One can only imagine Peña Nieto’s stunned reaction to such crude and undiplomatic language, but the real audience for his comments (hastily leaked to the press, along with an account of the president’s rough treatment of his Australian counterpart the same day) was surely his supporters. Trump’s blunt words to Mexico’s president were likely no more than bluster, the kind of candid undiplomatic talk that he relishes and that his supporters cheer. One hopes that somewhere in Trump’s national security team there is someone willing to point out to him how ill-advised sending American forces into Mexico in pursuit of “bad hombres” would be. Sadly, it wouldn’t be the first time the US has sent troops into Mexico to bring “order” to that country. 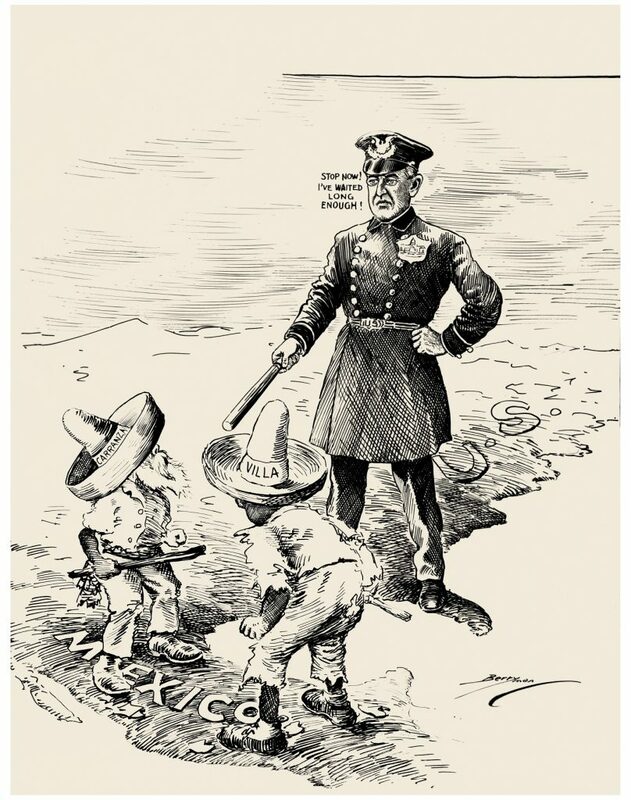 It was exactly a century ago last month that then-US President Woodrow Wilson, a progressive Democrat, withdrew his so-called “punitive expedition” from Mexico. After eight months, the 10,000-strong expedition had failed either to “pacify” Mexico or deal with the bad hombres of Wilson’s day—a guerilla army in Mexico’s ongoing civil war, led by colourful revolutionary Francisco “Pancho” Villa. The punitive expedition was actually the second time in as many years that Woodrow Wilson sent American troops into Mexico to try to shape the Mexican Revolution (1910-20). The first, in 1914, followed the 1913 coup d’état against the elected government of Francisco Madero, which brought to power the counter-revolutionary dictatorship of General Victoriano Huerta just weeks before Wilson was sworn into office. Although the US ambassador to Mexico had helped bring Huerta to power, the murder of Madero outraged the moralistic new president, who decided to do all he could to depose Huerta. Despite his disavowal of the blatant imperialism and Latin American interventionism of his Republican predecessors, from William McKinley to William H. Taft, President Wilson pursued a “moral imperialism” that ended up producing more of the same, in fact scaling up American meddling in hemispheric affairs. Wilson was unable, in spite of his progressivism (or perhaps because of it) to overcome his paternalistic belief (shared with many Americans of his era) that the United States had an obligation to teach other nations the lessons of democracy. As president, he launched extended occupations of Haiti and the Dominican Republic, for example, as well as the invasions of Mexico. “I am going to teach the South American republics to elect good men,” Wilson declared in 1913. Intent on Huerta’s overthrow in 1914, Wilson withheld American diplomatic recognition, ordered a naval blockade of Vera Cruz, and landed marines there to prevent the arrival of weapons for Huerta’s “government of butchers,” as Wilson called it. Much to Wilson’s shock and dismay, Mexicans treated US Marines not as liberators but as invaders. They didn’t seem to understand that Americans had come “not to conquer them, but to help restore peace and order.” Over a hundred Mexicans and 19 Americans died before the city was subdued. The occupation only indirectly helped unseat Huerta, the real work being done by Mexican forces under Venustiano Carranza, leader of one of the civil war’s contending factions. With Carranza in power, Wilson removed the occupation forces. Hoping Carranza would restore order, Wilson supported his fragile government, thereby alienating other factions in Mexico’s ongoing civil war. 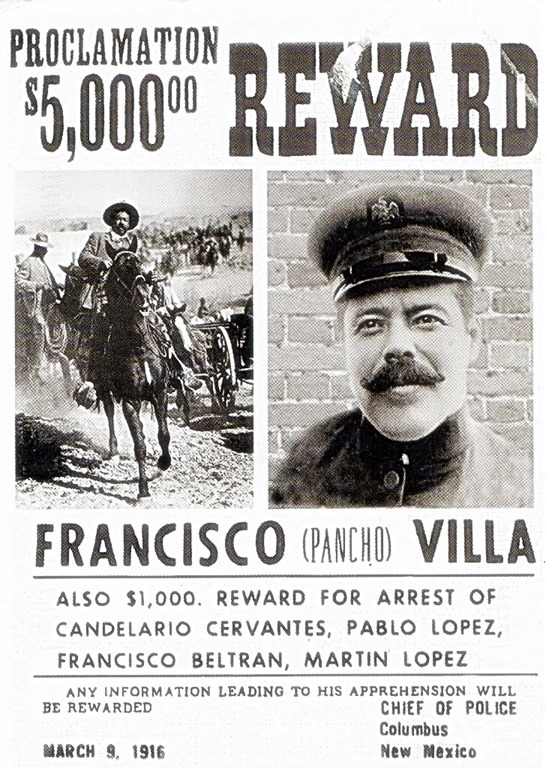 After a brief flirtation with the United States, Pancho Villa blamed Wilson’s interference for his declining fortunes in the war. Denouncing the “sale of our country by the traitor Carranza,” Villa charged that Mexicans had become the “vassals of an evangelizing professor” (Wilson). He confiscated American property south of the border (including a ranch belonging to wealthy newspaper magnate William Randolph Hearst) and executed a group of sixteen engineers travelling on a train in Northern Mexico. In an effort to expose Carranza as a US stooge, in March 1916 Villa led an attack across the US border against Columbus, New Mexico, which killed 17 Americans. 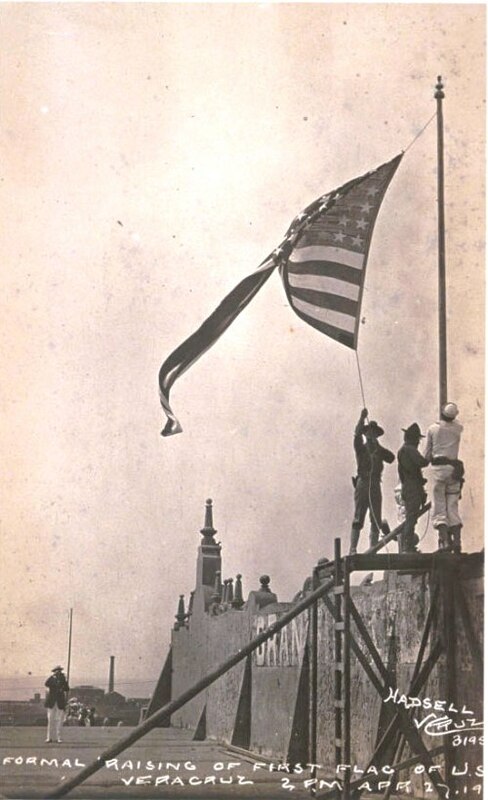 In response to this first attack on American soil since the War of 1812, many Americans, including former president Theodore Roosevelt, called for war. Determined to avoid war but needing to act, Wilson ordered General John Pershing to take 10,000 troops into Northern Mexico to capture Villa. But the “punitive expedition” failed to capture the elusive Villa or even to find his forces. Meanwhile, the wily Villa managed another attack on an American border town. His exploits earned him cult-hero status in Mexico. American exploits, meanwhile, fueled rising anti-Americanism. Wilson avoided greater disaster in Mexico by wisely conceding the failure of the expedition and withdrawing it in January 1917. 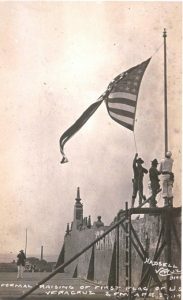 Although Franklin Roosevelt’s policy of acting as a “good neighbor” in the Western Hemisphere did not put an end to American meddling in the affairs of its Latin American neighbours, it did signal an end to the kind of overt military invasions and occupations that characterized American foreign policy in the region between the late 1890s and the early 1930s. Trump’s casual musings about invading Mexico, made in a phone call with the Mexican president no less, are a disturbing echo of an era best left in the past. If Trump’s sycophantic advisers won’t act as a brake on Trump’s aggressive new posture toward its southern neighbor, drawing a lesson or two from America’s past could—if only someone in Trump’s circle knew a little of the relevant history. Joseph Tohill teaches the history of US foreign relations at York University. Find him online here.